Super Furry Animals have always veered towards the theatrical with their yeti suits, dancing Power Rangers and laser light shows. 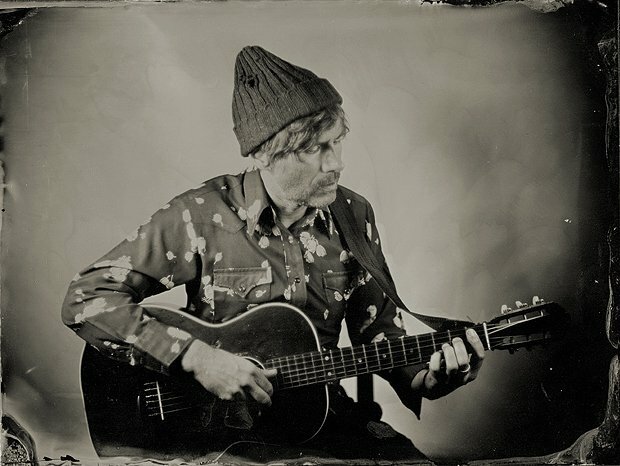 SFA frontman Gruff Rhys shows up the stories, theatre and presentation while dialling down the music for a more intimate and affecting solo performance. What emerges is a droll, deadpan rambling history of SFA, a work of autobiography and an exercise in crowd psychology. Rhys discusses the history and use of signs in his own performances as he flashes cue cards with instructions at the audience. There's as much chat as there is music with slides, photos and projections bringing his stories and manifesto to life. As you'd expect from Rhys the show often meanders from the path, leading us down many pleasant and amusing oubliettes (such as an unfounded fear of Vonda Sheppard taking over popular music). A highlight of the performance is a story about playing with Paul McCartney and Damon Albarn at Africa Express, which ends with a brilliant final image. The musical soundtrack reaches back from before Super Furry Animals, with his first band Ffa Coffi Pawb, to his most recent solo album Babelsberg. Rhys performs primarily on acoustic guitar but with added loops, echoes or backing tracks (including recordings of Finnish birdsong) played on a scratchy turntable. It's beautifully simple and showcases his inventive and instinctive understanding of song. Woha! Pleasance Courtyard, until 25 Aug, 11pm, £21.50 (£19.50).